You know when you want to do something, but you get so busy doing other things you have to revisit [*said thing*] way later than you wanted to? Yep, that’s how I’m feeling about my trip to Utah because it was wayyyy back in October, and I haven’t blogged about it once…but that changes today! 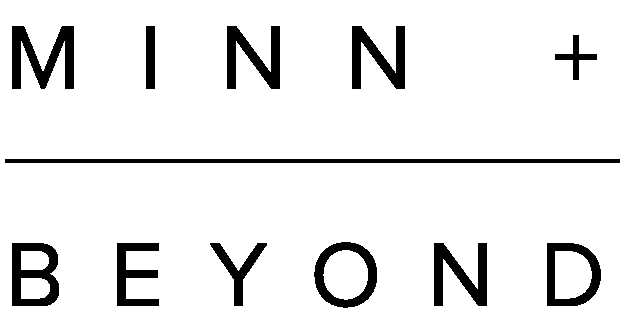 So back in September, Nicole Castonguay and I started planning a somewhat spontaneous trip to Utah. We flew in on a Sunday, had three couple sessions, worked like crazy, had a ton of fun, and flew back to Minnesota on Friday. It was a quick trip and something I would do again in a heartbeat. If you didn’t know, Utah is absolutely GORGEOUS! I had no idea until I was there, and my goodness, the scenery is incredible. 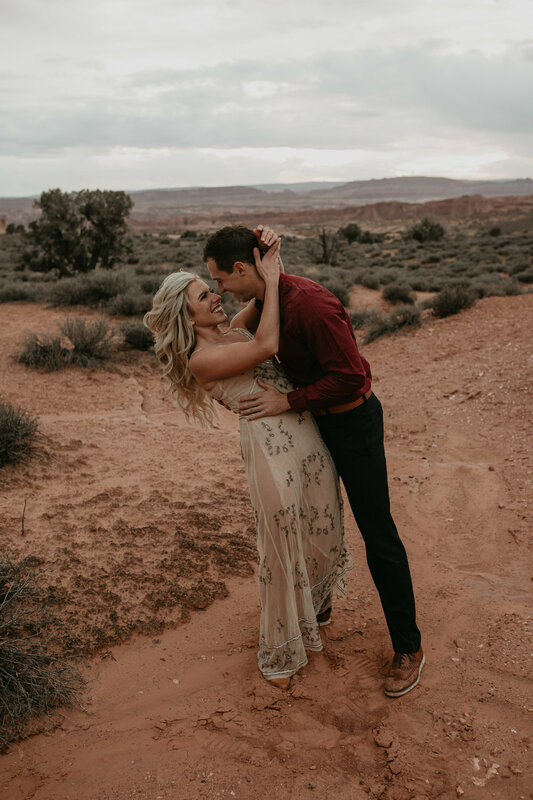 With so much to see and so little time, I definitely have my heart set on going back – bridals, elopement, wedding, engagement, couples session – I’m down to do it all if it means booking another flight to Utah. Another thing about Utah besides how pretty it is? The people. Everyone is so nice, and the couples we met were the sweetest. We may have only spent a couples of hours with each couple during their session, but I can’t help but feel like we became fast friends. The first couples session was with Paige and Logan who are actually from Minnesota but live in Utah. For these two, we headed to a little place called Moab - yes, freaking MOAB. And let me tell you, this place is INSANE (in a good way). Paige and Logan booked a session with us to celebrate and capture their one year anniversary as husband and wife. Cute idea? Defintely. I absolutely love the idea of anniversary photos. I firmly believe your wedding should NOT be the last time you’re in front of a camera as a couple. From the moment you say “I do” you’re committing a lifetime together. Document that lifetime with a little keepsake showcasing each year you’re married. It’s a great way to freeze time, enjoy each other’s company with a “mini date” and get updated photos of the two of you. Overtime, you can look back at each year you've been married, and to me, I think that’s pretty cool. 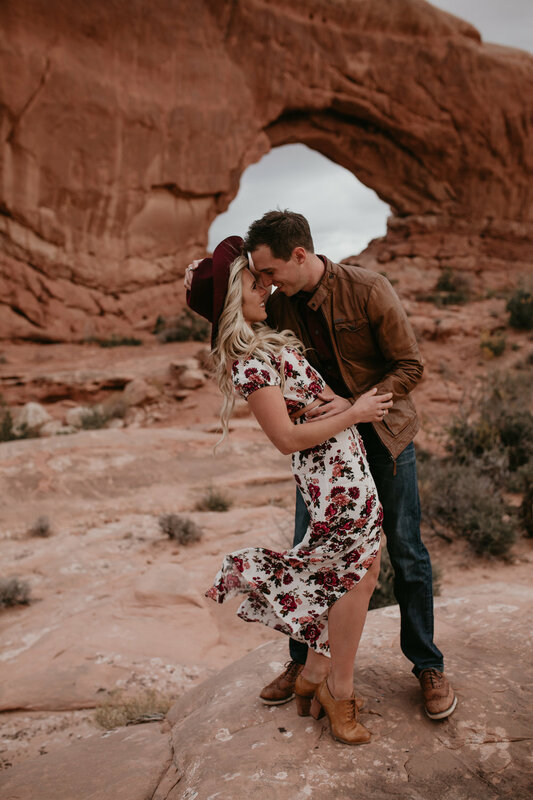 Take a peek at some of the amazing photos from Paige and Logan’s session (how cool is Moab?!). 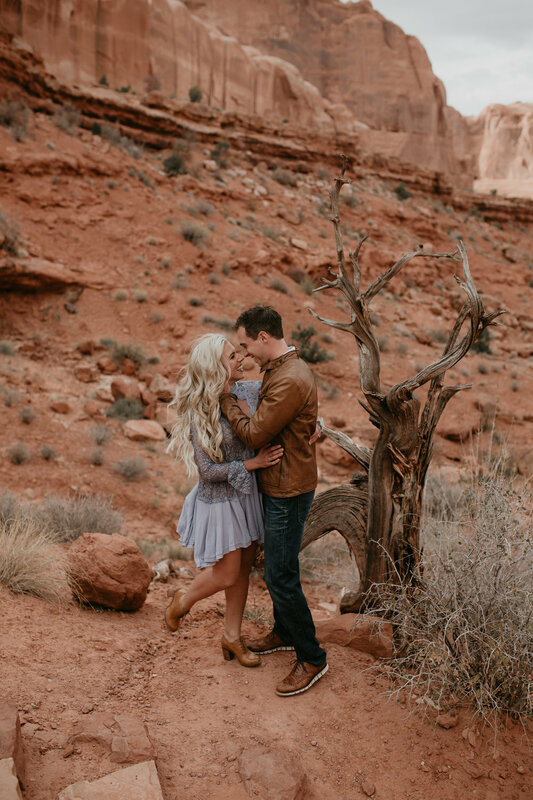 And if you’re interested in booking an anniversary session, want to take a trip to Utah (and bring me with) or want to travel to one of these spots, CONTACT ME.